Join the Outdoor Society mailing list! 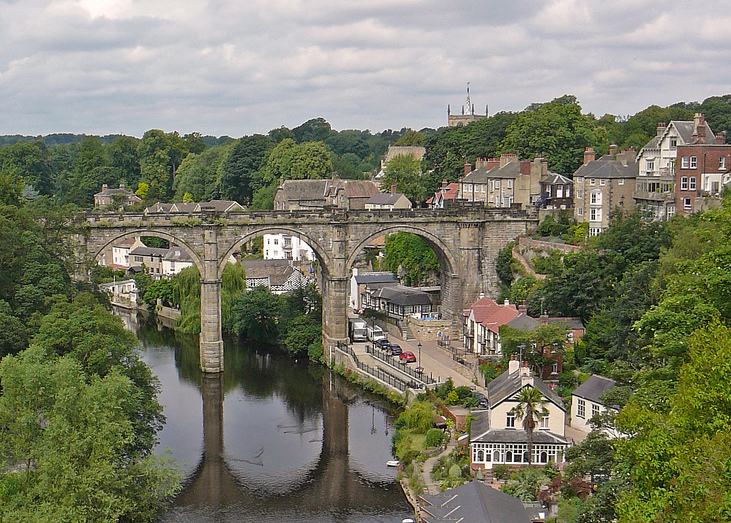 Knaresborough is a historic market town 4 miles east of Harrogate. Sights in the town include the remains of Knaresborough Castle, Mother Shipton's Cave, the House in the Rock, the railway viaduct over the river Nidd, and St Robert's Cave (dating from the Middle Ages). Knaresborough is the site of Ye Oldest Chymist Shoppe in England, opened in 1720, and the Courthouse Museum in the castle grounds. Image credit: Markdarb on Wikipedia. © Copyright 2015, The University of York Outdoor Society. Icons selected from www.flaticon.com by artists: Picol, Freepik, and Yannick. Web Development and Design by Tom Batchelder, currently managed by Edward Moye.